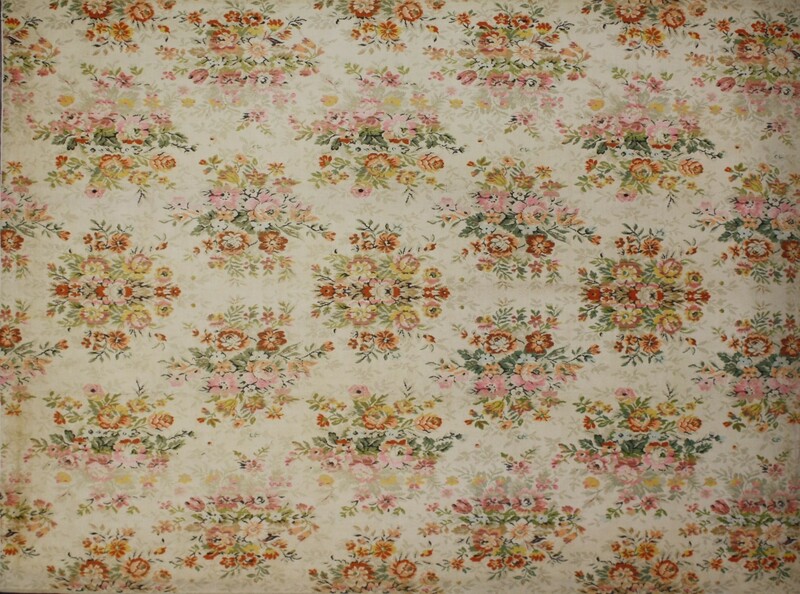 70715 Shabby Chic Vintage European Rose Bouquet Barkcloth Era Rug. This Shabby Chic Vintage Rose Bouquet Barkcloth Era Rug showcases rustic Provencal charm in a timeless traditional all-over pattern. Emanating grace and casual comfort this Vintage European Rug is the answer to your upscale Shabby Chic interior. Barkcloth fabrics of cotton and rayon blends became popular in France in the 1920s before spreading to the United States in the 1930s and 1940s. Romantic rose bouquets cascade across an open field in a never-ending repeat pattern. 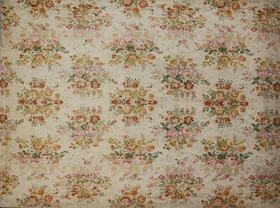 Displaying Aubusson-style florals in a modern design this Vintage European Rose Bouquet Barkcloth Era Rug presents beautifully, with delicate taste and style. Well-suited for period interior styles: French, Victorian, Rococo, Renaissance, Neoclassical, French Provincial, Gustavian, Swedish Farmhouse, Rustic Feminine, French Cottage, or European Country. Perfect for a bedroom, living room, dining room, front room, great room, state room, family room, studio, study, loft, lounge, office, library, parlor and sitting room. Possibly Machine-Made. Woven cotton and barkcloth. Made in France. Measures: 08'05 x 11'03.